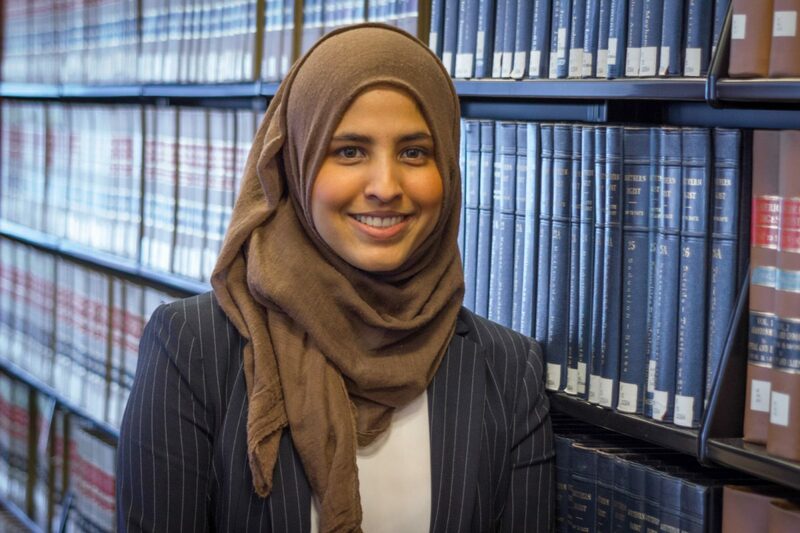 Shahina Khan has proven her leadership and legal skills on campus and off, serving as president of two student organizations while participating in four trial advocacy competitions in the last three years. 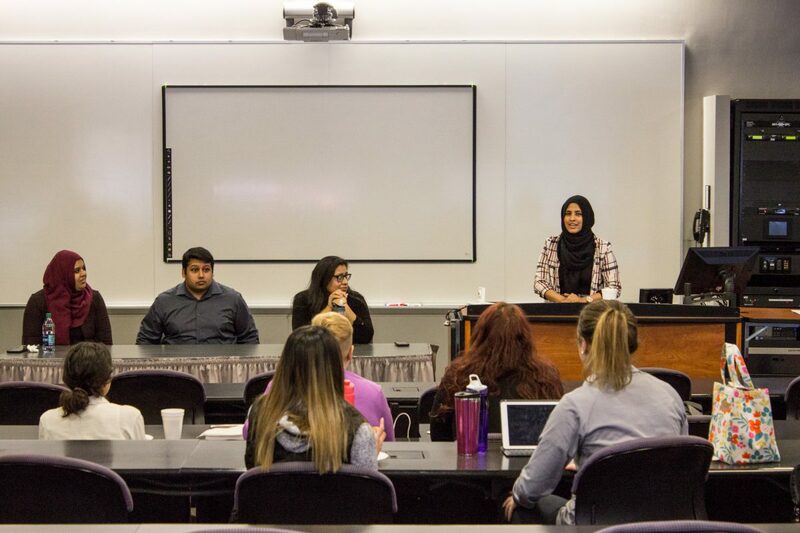 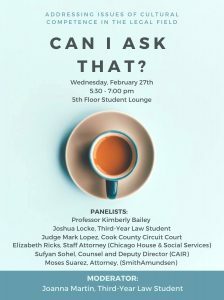 During Diversity Week 2018, our Muslim Law Students Association featured a panel of members who shared their stories as law students about how their faith has motivated them to join the legal field. 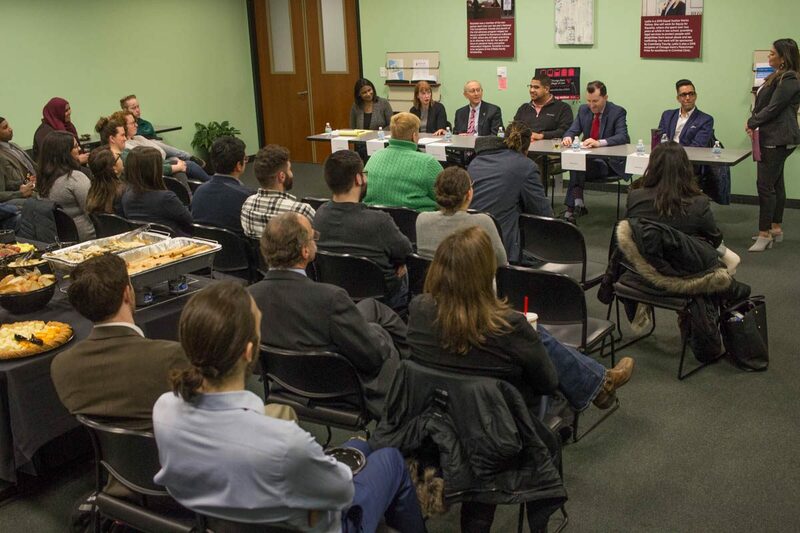 They also addressed the types of discussions and questions they encounter about their religious practices and beliefs. 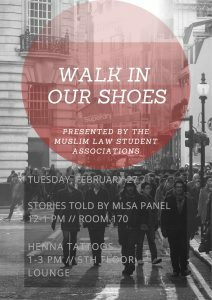 Shahina Khan, MLSA President 2017-2018, moderated the panel. 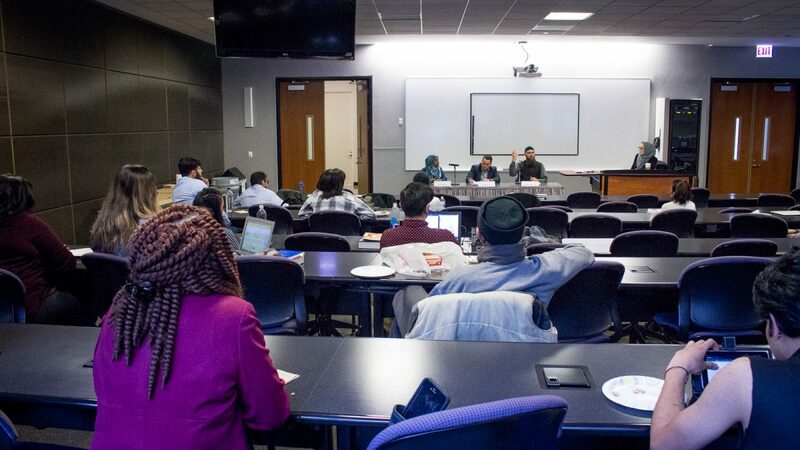 Our Muslim Law Student Association hosted an “Ask Muslims Anything” event during our Diversity Week 2017, giving students a chance to submit questions about Islam or Muslims anonymously. 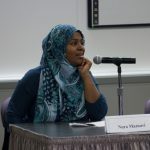 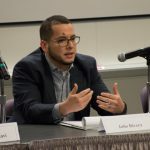 These questions covered a range of topics from historical Islam to understanding religious practices and challenges Muslims face in the United States due to common misconceptions or outright discrimination. 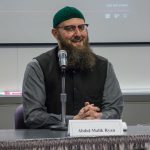 The panelists represented a range of different personal and religious backgrounds and offered contrasting perspectives throughout the discussion.